Ambitious companies that want to thrive in today’s marketplace must focus on delivering exceptional customer service. To win and retain customers, businesses must differentiate themselves from the competition, and customer service is playing a dominant role in achieving this. In fact, 89%of marketing leaders expect to compete primarily on the basis of customer experience by 2016, as compared with 36% four years ago. This seems fitting since even a 10% improvement in CX scores can translate into more than $1 billion in revenue. Each year it’s essential to know which trends will affect your industry, your employees, and your customers. Here’s what customer service leaders should be focussed on this year. With so many ways to interact with companies (e.g. web, social, mobile, voice), it’s only natural for customers to switch channels when one proves to be ineffective. The goal for customers is to receive answers quickly and easily, and if that means jumping from Twitter to email to chat, then so be it! Not surprisingly, 60% of customers actually do this. They’ll change channels depending on where they are and what they’re doing, and will expect a seamless, consistent experience while they’re doing it – across all platforms. Gartner Research predicts that customers will handle 85% of their relationships with a company without ever interacting with another human by the year 2020. Companies that understand the importance of multi-channel customer service are diligently laying the groundwork to deliver a seamless experience across all mediums. Customer service teams are always looking for new ways to operate more efficiently – ways that make the experience better for them, and better for the customers they’re serving. 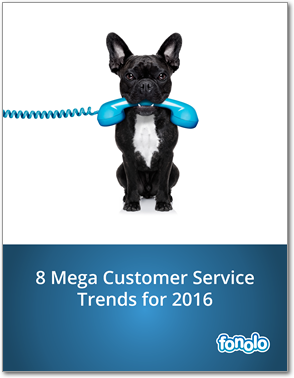 This year it will be more important than ever for your customer service teams to provide quality support. At the end of the day, it’s all about understanding the customer and predicting what they will want next. So, there’s no better time than the present to implement a strategic cross-channel CRM strategy. Zendesk provides customer service and support ticket software. Their “beautifully simple” user interface is designed for convenience and scalability. Freshdesk is a web-based help desk software that allows small businesses to support customers over email, phone, the web, Twitter and your company’s Facebook page. Desk.com offers multi-channel customer support to manage requests from social media, email, phone, chat, and more. Today, 99% of consumers think customer service agents sound scripted. But there’s still hope: Research shows that 75% of businesses are committed to creating more personal connections. The process of personalization can be incredibly powerful. 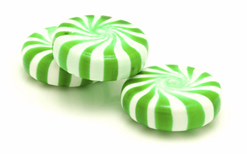 Take this study published in the Journal of Applied Social Psychology, where researchers tested servers in the hospitality industry to examine the effect that mints had against a control group (where no mints were given) in increasing tips. 1. The first group had waiters giving mints along with the check, making no mention of the mints themselves. This increased tips by 3% against the control group. 2. The second group had waiters bring out two mints by hand (separate from the check), and they mentioned them to the table (i.e. “Would anyone like some mints before you leave?”). This increased tips by 14% against the control group. 3. The last group had waiters bring out the check first along with a few mints. A short time afterward, the waiters came back with another set of mints and let customers know they had brought out more mints, just in case they wanted another. That last group saw a 21% increase in tips! Researchers found that it was the perceived personalization of bringing out the second set of mints and mentioning it to customers (i.e. “I thought I might see if someone could use an extra mint”) that made the difference. Point being: It had nothing to do with the mints; it was the personalized experience that increased the tip percentage. Keep this study in mind when applying personalization to your customer service teams! Social care is best delivered when employees across departments are trained to engage with customers. As more consumers turn to social media to try and resolve issues, your training requirements will need to keep pace. In the past two years, there has been a 2.5x increase in customer service conversations on Twitter. In order for brands to keep up, it’s essential that they stay in tune with best practices. 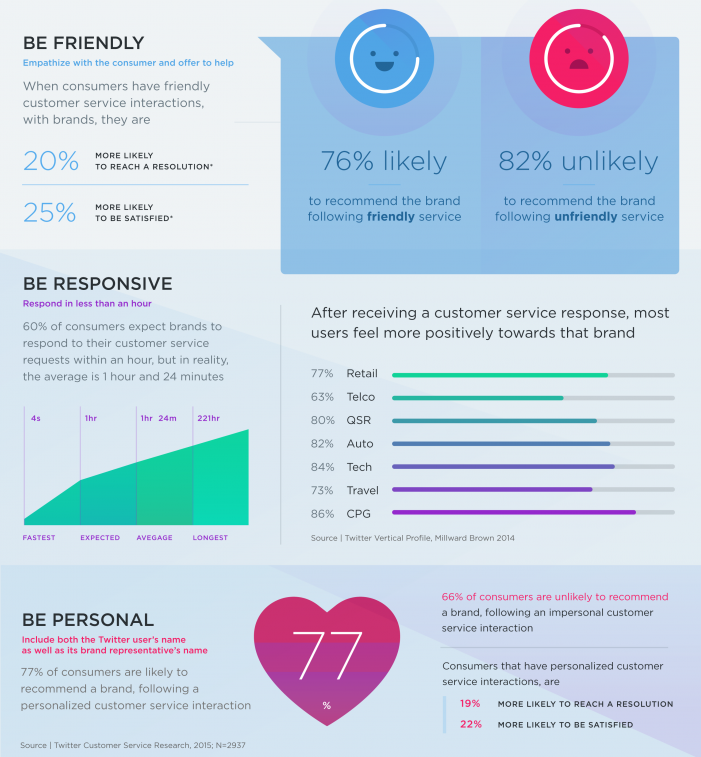 Check out this infographic surveying 14,040 Twitter users who followed or interacted with a brand’s customer service Twitter account. The resulting research displays best practices for brands who want to shift from simply handling customer service to nurturing relationships. Don’t miss the last 4 trends! Download the full report below.